Once again, Emma was the soprano soloist at the BBC Radio Leicester Carol Service 2015 for the ever popular ‘O Holy Night’ accompanied by the St James the Greater Choir. 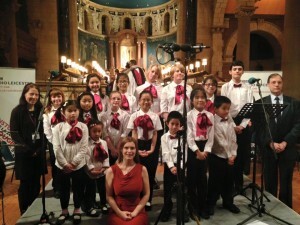 Emma also conducted her Loughborough Children’s Choir singing ‘Tomorrow shall be my dancing day’ and ‘Away in a manger’. The service was broadcast on Christmas Eve and Christmas Day and you can listen to the whole service here for the next couple of weeks. Emma was interviewed about her life and career in July 2015 in an in depth radio interview for BBC radio Leicester by Ed Stagg. Emma is to conduct the premiere of ‘The King in the Car Park’, a 45 minute cantata for children’s choir at Leicester Cathedral on Tuesday 30th June. The idea for the work came from Emma, following the discovery of the remains of Richard III in a Car Park near Leicester Cathedral and following on from the reinterment services in March of this year and was specially commissioned by DioSing! 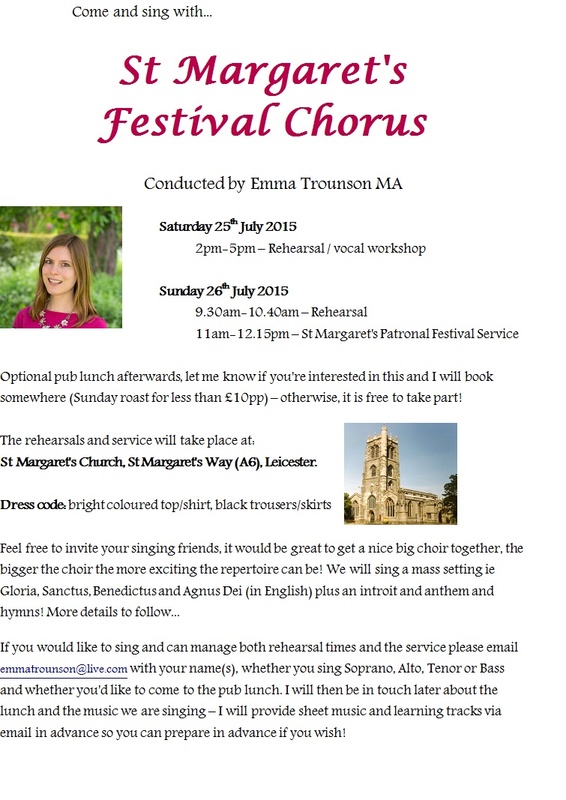 - Leicester Cathedral’s choral education programme for which Emma works as one of the Choral Directors. The music was composed by Benjamin F Vaughan and the libretto was written by Philip Gross. 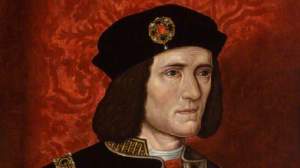 It tells the story of Richard III’s life, death in battle and rediscovery hundreds of years later. The premiere will be performed by 300 children most of whom come from schools involved in DioSing!, alongside the Leicester Cathedral choristers and Loughborough Children’s Choir. This will follow a workshop morning, led by Emma and her colleagues which will include a presentation of Medieval Instruments used in the new work. A second (smaller scale) performance will take place the next day in All Saints with Holy Trinity Parish Church, Loughborough. For more details see the concert page. 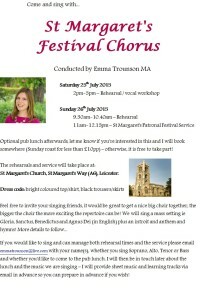 St Margaret’s Festival Chorus – Come and Sing! 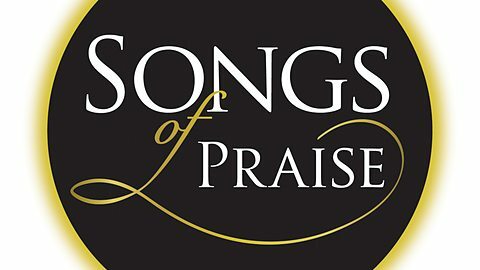 On Sunday 8th June, BBC 1 broadcast the first of two Song of Praise recordings they made on Easter Monday. Emma was proud to be singing alongside the Junior and Seniors girls and Songmen of Leicester Cathedral. (June 2014). 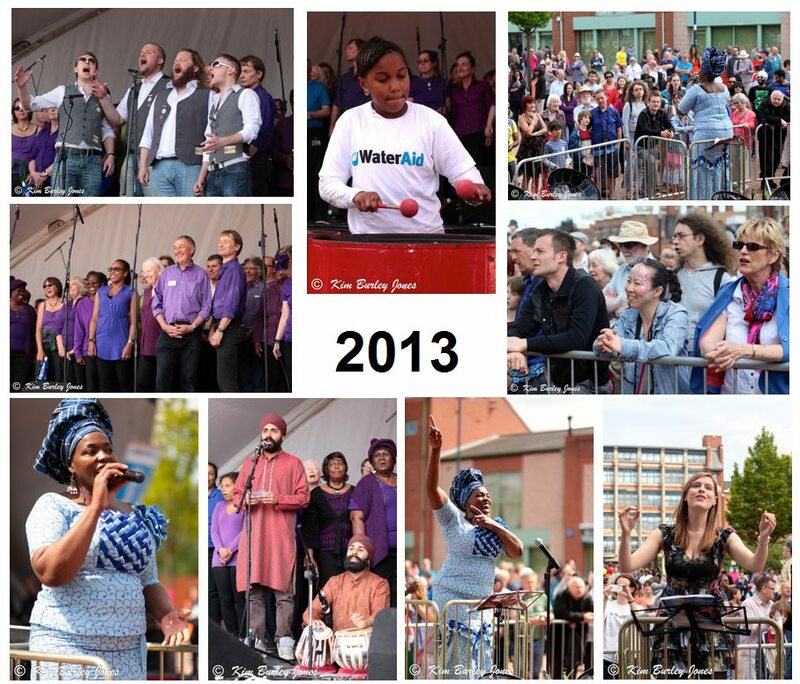 Emma supported Sing for Water at Leicester Riverside Festival on Sunday 8th June 2014, as she did last year by conducting the song Shine by Take That – twice! For more information please see the website of Leicester Sing For Water. (June 2014). Last year’s Sing for Water montage. 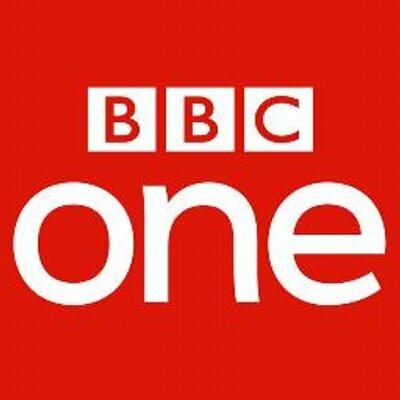 Good news for Leicester Cathedral Choir, they’re set to be on television again as it is confirmed that Richard III will be buried in Leicester! For more information please see: http://leicestercathedral.org/king-richard-iii-remain-leicester/ (May 2014). 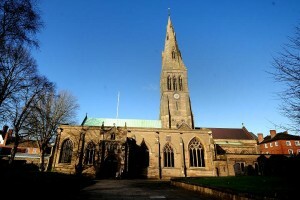 BBC 1 television broadcast Leicester Cathedral’s Choral Eucharist live on Easter Sunday 2014. Emma was honoured to be the soprano soloist for Schubert’s Mass in G (Gloria and Agnus Dei) as well as singing in the cathedral choir. On Easter Monday the boys and girls choirs recorded two Songs of Praise programmes for which Emma sang in the Cathedral Choir. 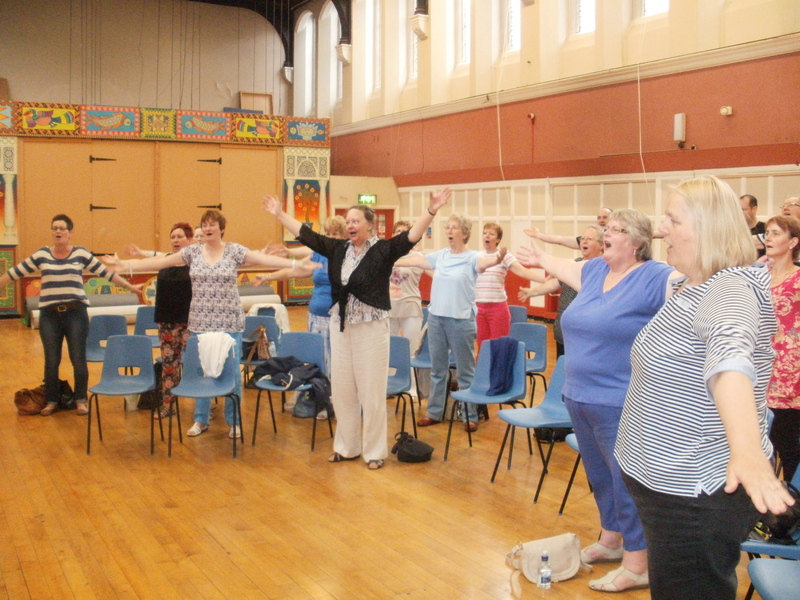 The programme also featured members of Fosse Singers and Chanterelders in the congregational choir! 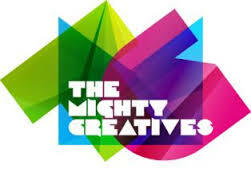 The first of the two recordings will be broadcast on Sunday 8th June. (May 2014). Emma was engaged as a consultant to lead a singing session with over 100 delegates to start an arts in the primary curriculum conference hosted by The Mighty Creatives at the National Space Centre in Leicester. (March 2014). 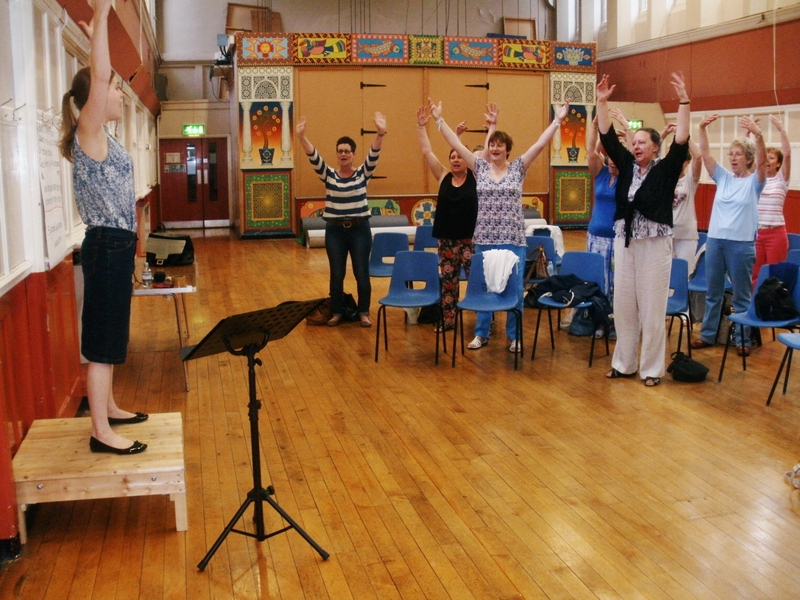 During summer 2013, Emma led a successful singing workshop in Leicester with members of the Fosse Singers and the Chanterelders Choir at Fosse Neighbourhood centre. She was pleased with the good turnout and lovely results. The workshop explored vocal music from around the world (including South Africa, Brazil, France, Canada and even Iceland!) 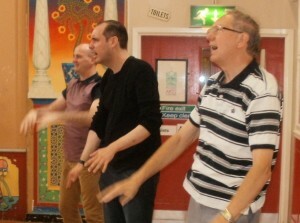 and focused on movement and vocal technique. (August 2013). 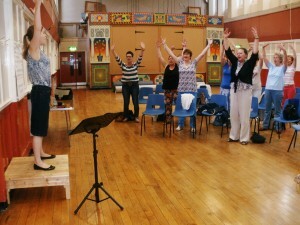 Emma is pleased to announce she has been appointed Musical Director of The Chanterelders Choir (Leicester). 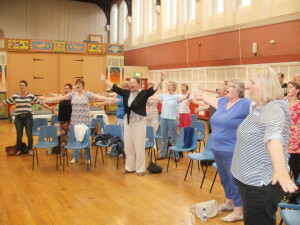 She takes up the position in September 2013 and is greatly looking forward to working with the choir. (July 2013). Emma has had a fantastic week working as an Assistant Conductor at Worcester International Festival for Young Singers. 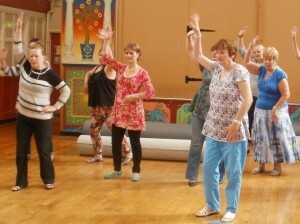 She assisted Margrét Bóasdóttir from Iceland on the ‘Joy and Dances from the North’ atelier. A privaledge to work with the amazing Bob Chilcott towards the premiere of his new choral work: Five days that changed the world. 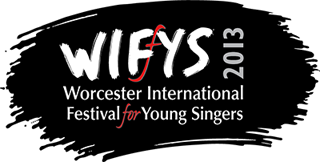 For more information see the WIFYS website. (July 2013).